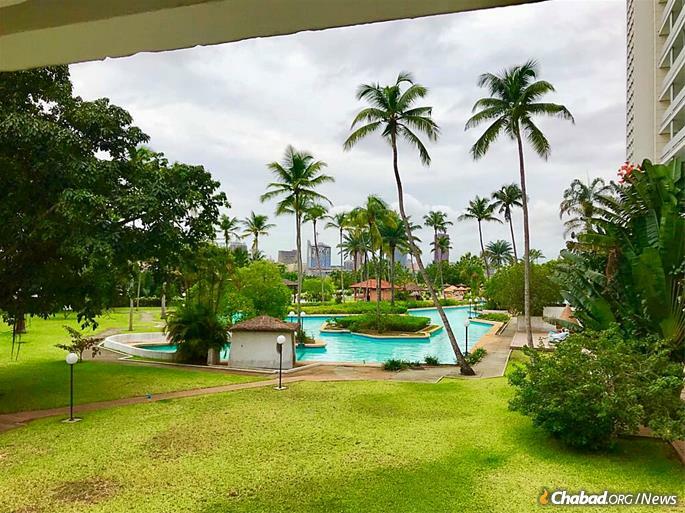 Debbie and Rabbi Yerah Bensaid are moving to Ivory Coast to open Chabad-Lubavitch’s newest outpost in Africa. She grew up in the Congo. Debbie Bensaid has lived in the Central African city of Kinshasa, Congo, for most of her life. She was three months old in 1991 when her parents moved to what was then called Zaire to establish Chabad-Lubavitch of Central Africa, growing up blocks away from the majestic Congo River and amidst the occasional civil war. Different, you might say, from the life of a typical Chassidic girl anywhere else in the world. Yet for her, Africa is home. 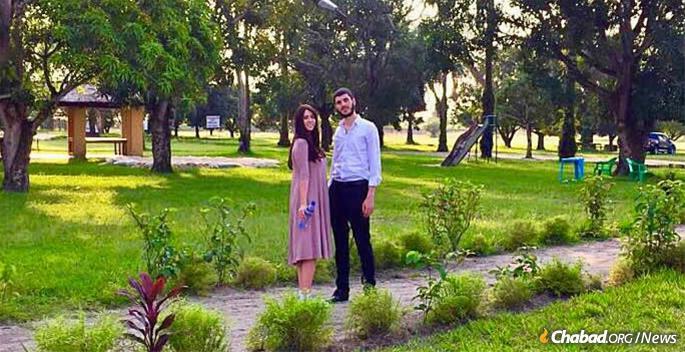 Now, with her Paris-born husband Rabbi Yerah Bensaid, the young mother of two is preparing to open Chabad-Lubavitch’s newest outpost on the continent: Later this year, the Bensaids will move to Abidjan and establish Chabad of Ivory Coast. 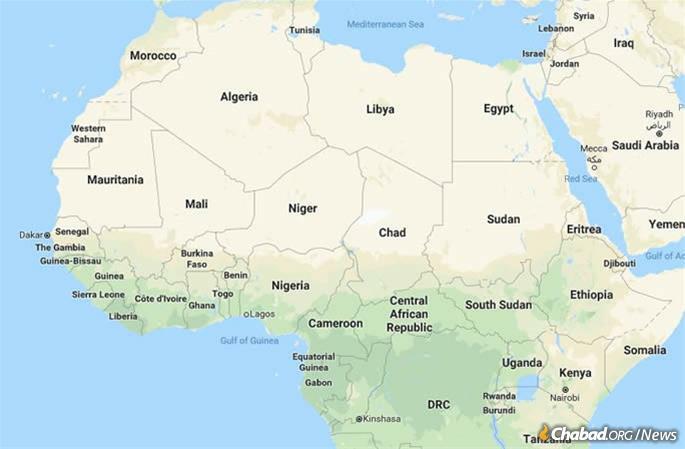 Their center in West Africa will be the seventh permanent center under the umbrella of Chabad of Central Africa, joining the neighboring countries of Ghana and Nigeria. A center opened in Uganda at the end of 2017, and one in Tanzania earlier this year. Ironically, with a three-and-a-half-hour flight connecting Abidjan and Kinshasa (albeit only three times a week), Debbie Bensaid’s new home won’t be all that far from her old one. Beyond the benefit of knowing what life is actually like in Africa, Bensaid says she will draw on the lessons she learned in Congo, where she watched her parents, Rabbi Shlomo and Miriam Bentolila, build a vibrant and loving Jewish community. 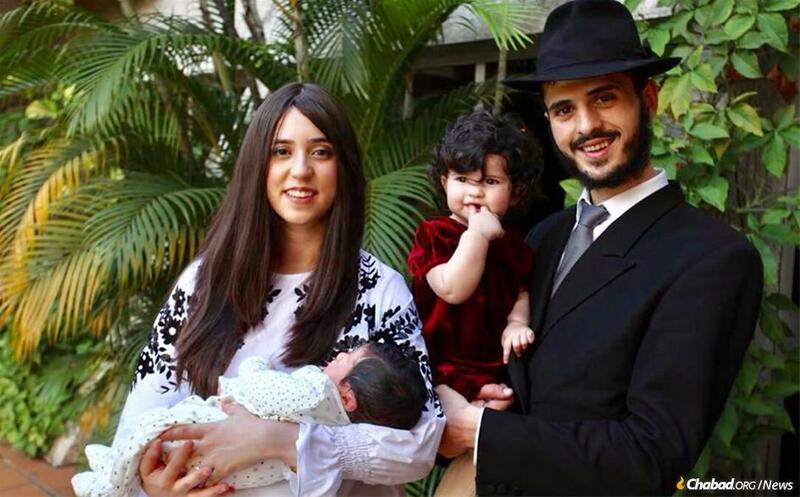 The Bensaids will move to Abidjan and establish Chabad of Ivory Coast later this year. 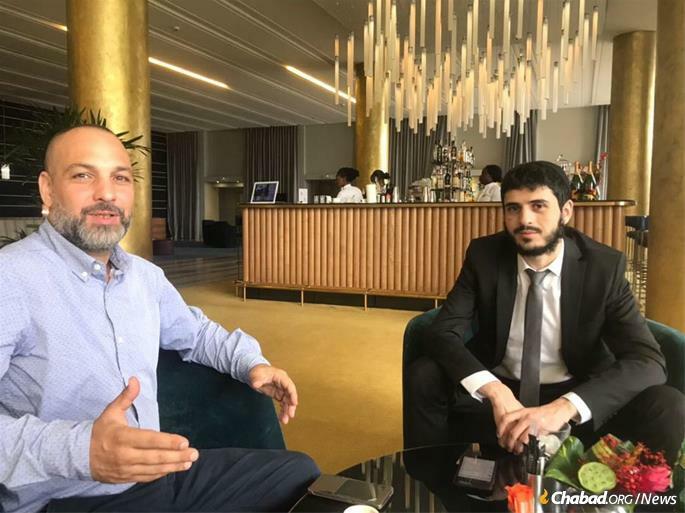 Rabbi Bensaid, who first visited and met with Jewish community members in Ivory Coast several months ago, says the former French colony (also known as Côte d’Ivoire) is a growing place, drawing businesspeople and investors from around the world. The Jewish community numbers between 200 and 300 people—a mixture of Israelis, Americans and Europeans, especially French Jews, who are involved in a host of businesses, from infrastructure development to oil and gas to commodities. 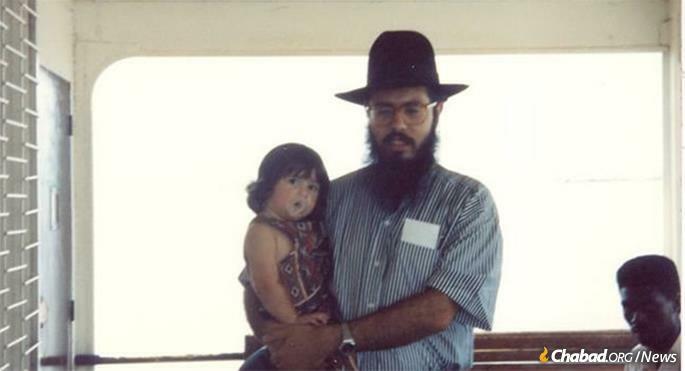 Rabbi Shlomo Bentolila in the 1990s with his daughter, Debbie. Rabbi Bentolila was a young rabbinical student when he first visited Ivory Coast back in 1988, which was also his first time in Africa. 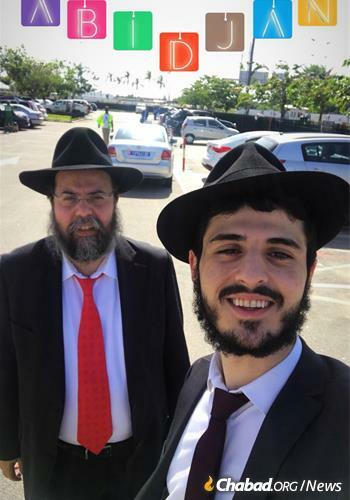 He and another yeshivah student spent a week in Abidjan as part of the Merkos Shlichus rabbinical visitation program, also known as Roving Rabbis, a trip that saw them visit six countries in all and paved the way for the opening of a permanent center. Back then, Ivory Coast’s Jewish community was larger, and they even arranged a significant gathering to mark the completion of the study cycle of Maimonides’ Mishneh Torah, attended by 125 people. Three years later, by this time married, Bentolila settled in Kinshasa, and has maintained a strong relationship with the Ivorian Jewish community ever since, regularly assisting them. Ivory Coast, shown here as Côte d’Ivoire, will be home to the seventh permanent center under the umbrella of Chabad of Central Africa. Fueled by rapid infrastructure development, a large Jewish community flourished in Abidjan in the 1960s; by 1973, there was even a Jewish day school, which at a point drew 300 children. Igael Cohen was born in Abidjan in 1973 and recalls those days warmly, but, he says, most people left in the early 1990s, when the country became less and less stable. After growing up in Ivory Coast, where he attended the Jewish school, Cohen lived in France for a time before returning to Abidjan in 1994. Jewish life there, he says, has benefited greatly from the close attention it has received from Chabad of Central Africa. 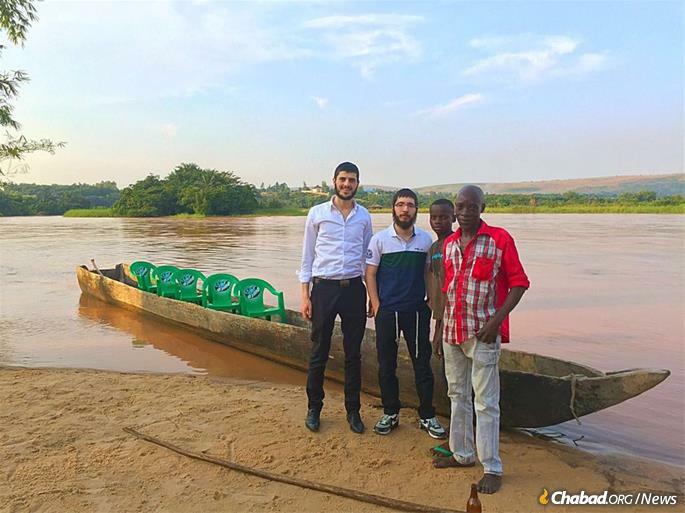 Until now, Ivory Coast was one of 11 African countries without a permanent Chabad center, serviced by Chabad of Central Africa. Another one is the Republic of Congo (as opposed to the Democratic Republic of Congo, where the Bentolilas live), which is where Efraim Meslet first came in contact with Chabad on the continent. Originally from France, Meslet and his family immigrated to Israel 15 years ago, but he has been doing business in Africa since 2011. Before coming to Ivory Coast, he was spending a few weeks of every month in Brazzaville, the capital of the Republic of Congo. While just across the river from Kinshasa, it is a world away. Amnon Razin is one of the pillars of the Ivorian Jewish community. Like the others, he, too, recalls the impact Chabad had upon another small community he once called home. In the 1970s, after the capture of the Sinai from Egypt in 1967, he lived in and was secretary of the tiny town of Neviot (now Nuweiba) in the Sinai peninsula. One problem the community faced was a lack of traditional Jewish education for their children—that is, until volunteers from Chabad of Eilat, some 80 kilometers north, began visiting the town and teaching their kids. The former French colony (also known as Côte d’Ivoire) is a growing place, drawing businesspeople and investors from around the world. Razin, who first came to Ivory Coast to work on transforming the country’s driver’s license system from a paper one to a credit-card-sized biometric type, and has since moved on to other projects, also notes the growing number of opportunities in Ivory Coast. He says that more Israelis are being drawn to Africa in general because of the new markets hungry for technology, and other products and services. There is also a sense that the recent stability Ivory Coast has enjoyed will stick. Many French companies have begun returning and reinvesting in the country, which is a good sign. The progress will ultimately be put to the test during the next elections, slated for 2020. “I have a good opinion on what is going on,” says Cohen. The Jewish community numbers between 200 and 300 people. It’s a mixture of Israelis, Americans and Europeans, especially French Jews, who are involved in a host of businesses, from infrastructure development to oil and gas to commodities.